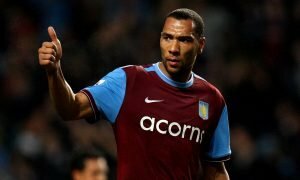 5 January signings to steer Aston Villa away from relegation | The Transfer Tavern | News, breakdown and analysis on all things football! Aston Villa fans here at the Tavern have had a terrible season so far to say the least. Languishing rock bottom of the table, with very little to cheer about all season, punters have been downing their pints in despair. The Villans had a tough summer losing arguably their two best players in Chrisitan Benteke and Fabian Delph, who disgusted fans with his transfer U-Turn in order to join money men Manchester City. Villa’s bad start to the season led to the early departure of Tim Sherwood as manager as he was replaced by Frenchman Remi Garde. The former Arsenal player has himself also had a tough start to the job as Villa are beginning to look cast adrift from the rest of the league. The Midlands team have been an ever-present in the Premier League era but without a drastic change in form look to be relegated to the second tier for the first time since 1987. Hit Garde below to see FIVE signings that could save Aston Villa from relegation!